Once you've downloaded the file, please see the important installation notes below this box. When you click the above link to download inspector text, you may get a message like "inspector text is unsafe to download and was blocked by SmartScreen Filter". This message just means that inspector text has not had a huge number of downloads, and I have not paid a boatload of money to get Microsoft to mark it as safe. Eventually the message will stop once it has had enough downloads. inspector text does not have a virus. This website is hosted by Lunarpages, which is as safe as anything on the web. If you want to be 110% certain, you can just run your virus checker on the file after downloading it but before running it. On Windows NT, 2000, XP Vista, and Windows 7, 8, and 10, you must be logged in as an Administrator during installation. After installation, you no longer need to be logged in as an Administrator. After installing inspector text, restart Excel. File > Options > Add-ins > Go (button). That should bring up the Add-ins dialog. 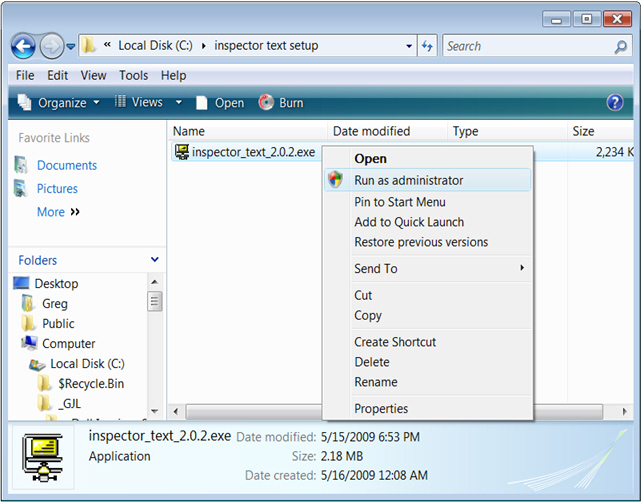 In the Add-ins dialog, click Browse, and browse to inspector_text.xla. Then click OK, and inspector text should be listed there in the Add-ins dialog and checked. Then click OK to get back to Excel. itTEST() should work then, but if not try restarting Excel. If those steps don't fix the problem, you may wish to try installing again, or see the Troubleshooting FAQ, or email for help.